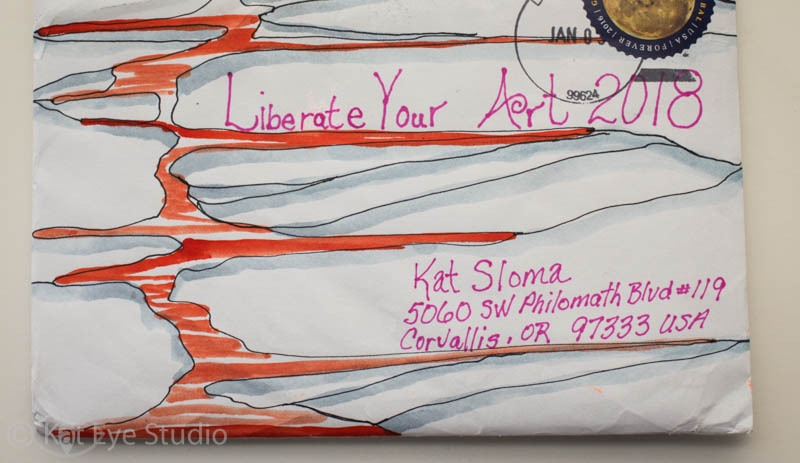 Yes, mail art has started arriving for the Liberate Your Art Postcard Swap! It never fails to amaze me how quickly some of the postcards start to arrive. It’s almost like people have been waiting all year to send! It truly is a joy to get this kind of happy mail, and now I get to share it with you all, too. 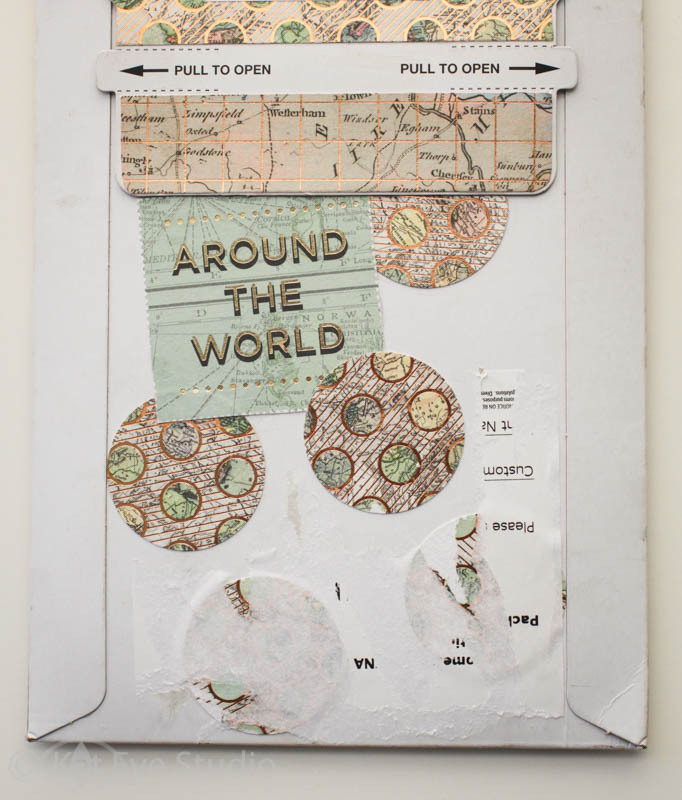 The image above is from Hope in Michigan, and it’s a fitting introduction this year’s mail art, don’t you think? Next up we have Lisa from Texas. Let’s definitely have coffee sometime Lisa! One of our first international participants is Heidrun from Germany. 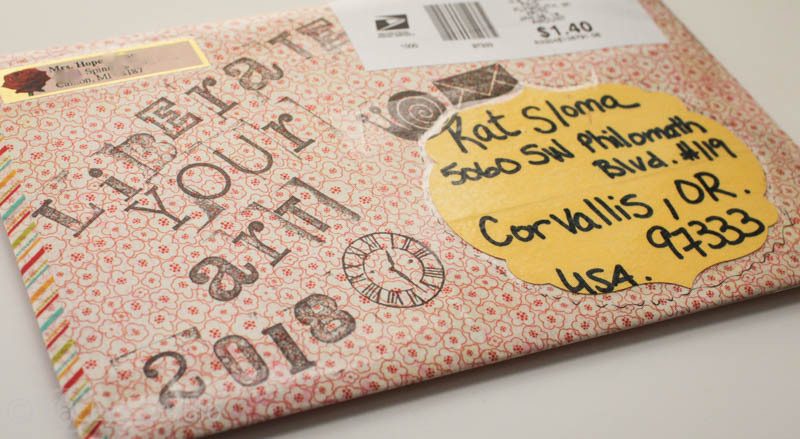 I’m a sucker for stamps from other places, and what a great way to wrap up the postcards! 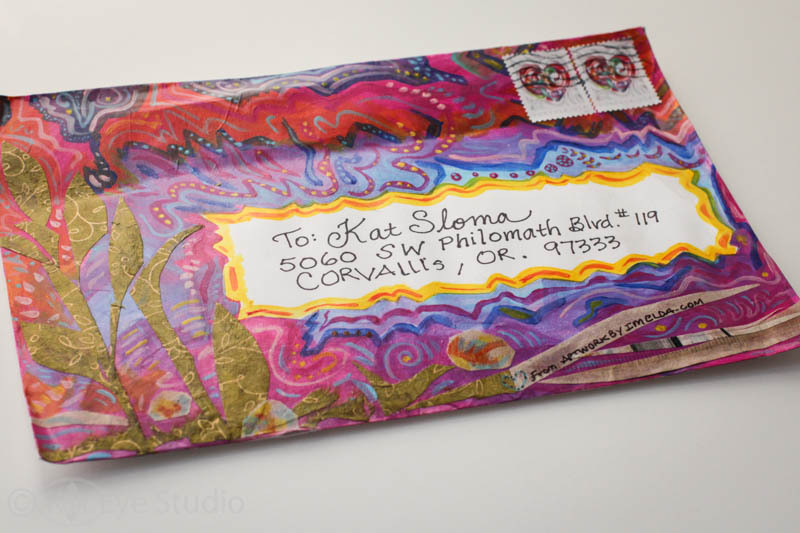 Here we have an amazing, colorful envelope by Imelda in California. I always love getting an envelope from this lady! It’s Sherry, from Alaska. 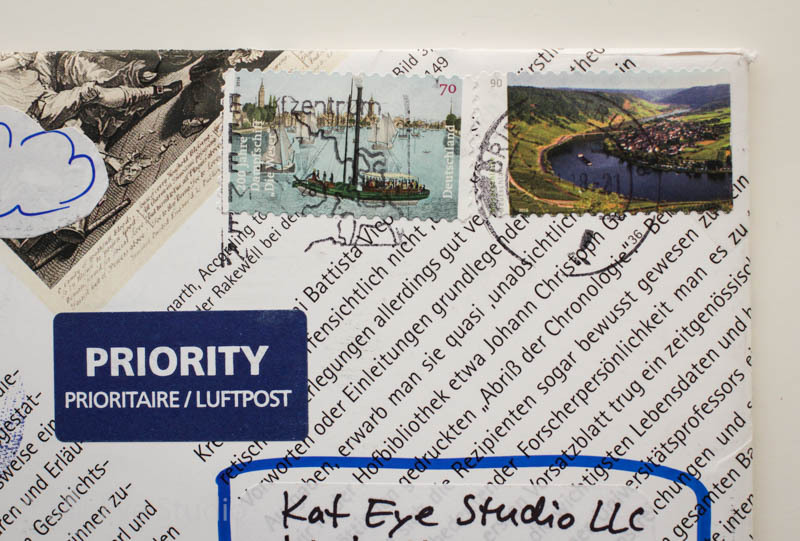 Isn’t it great what a little pen and marker can do for a white envelope? Finally, we have Christine from here in Oregon. Hiya, neighbor! By the way, the owner of the UPS store felt so bad that his employee put a label on your envelope. He told me, “We don’t put labels on your envelopes, they are too pretty!” I think it still looks great. Thank you all for the lovely envelopes! 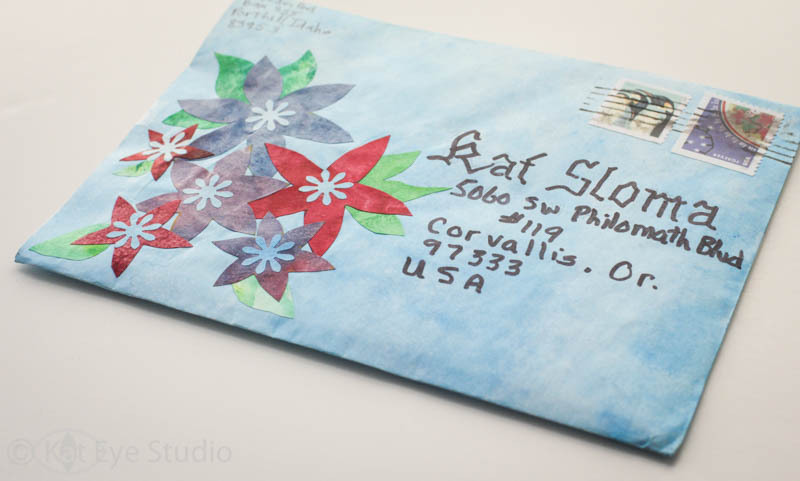 Whether or not you decorate your envelope, it’s great to see all of this art liberated. There is still time to join the swap if you haven’t already! The deadline is March 17. Sign up here. These are all great Kat and a real treat to see. BTW I do live in British Columbia but as we are only 15 minutes from the Idaho border we also have a US post office box. It makes things so much easier for things like the LYA swap. Val I love your envelope!! Very Wintery festive! I an honored to be among such beautiful and creative souls, whose envelopes look awesome and survived their travels..Looks like mine took a slight beating during its flight to you, lol.. So happy to participate in the swap, Kat! What a great opportunity to meet artists from around the country – and around the world. If you need an extra pair of hands in March, please let me know. I’m just a hop, skip & a jump away. I would love to have you come and help! Drop me a note. 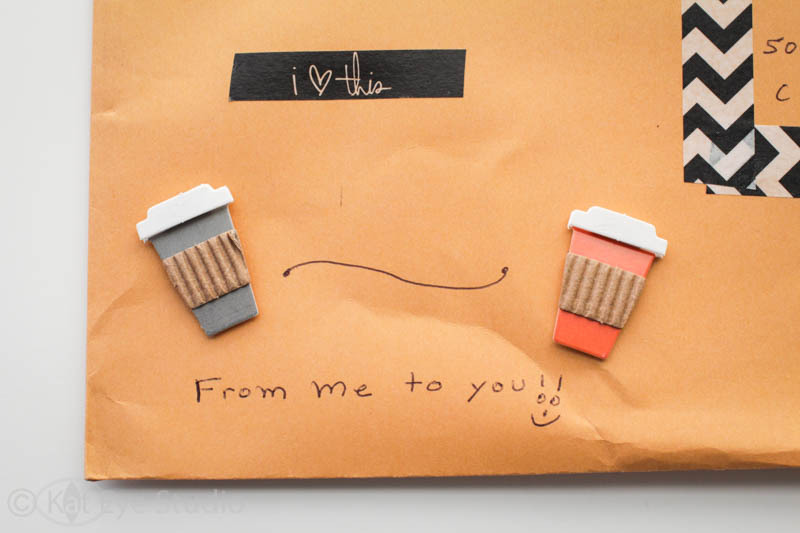 I love looking at the beautiful envelopes…one of my favorite parts of the swap! I love all the envelopes, particularly Imelda’s. I’m such a color hound! Can’t wait to see your postcards.